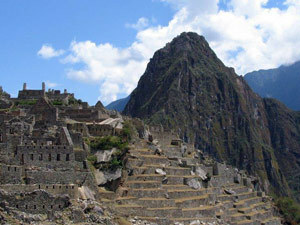 MILA Tours specializes in creating custom tours. We work with all of the countries in South America including the 3 Guyanas! We often combine 2 or more countries in an itinerary and can work with you on the best itinerary. Here is a brief description of each country and what it offers. Please contact us for a suggested itinerary and pricing. Argentina is a large, diverse country. Buenos Aires is a major attraction with cosmopolitan living, museums, architecture, and of course Tango dancing! But the rest of the country offers large estancias (ranches), the famous water falls at Iguazu, Mendoza's wine country on the slopes of the Andes Mountains, and the southern Patagonia with beautiful lakes, glaciers, mountains, and interesting wildlife. 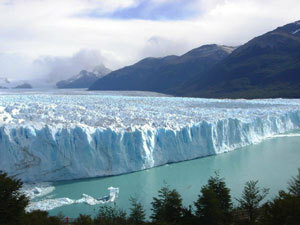 Pictured here the Perito Moreno Glacier near Calafate. Bolivia is a cultural gem in South America. Lake Titiaca is the highest navigable lake in the world and is surrounded by snow capped mountain peeks. The largest city of La Paz is also a beautiful setting surrounded by mountains. Plus there are other beautiful colonial cities such as Sucre and Potosi where silver was heavily mined. The largest Salt Flat is also found in Bolivia and one of the only places you can stay overnight in a hotel built from salt. The largest country in South America and the only Portuguese speaking, Brazil is diverse in size, people, and culture. The northeast coast has a large influence of African-Brazilians as seen in the food, music, and art. The Amazon River is a major attraction starting in Manaus all the way to the mouth at Belem. The Pantanal lowlands has increased visitors who want to enjoy the wildlife and unique scenery. 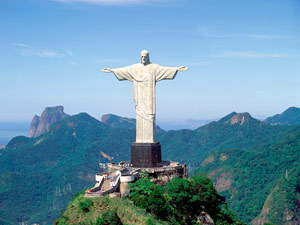 Highlights to any tour include the cosmopolitan cities of Rio de Janeiro and Sao Paulo. Chile's geography often reminds one of a string bean with 3 diverse climates. To the north, Chile's Atacama Desert offers salt flats, geysers, and beautiful desert landscapes. The Central Valley around Santiago is famous for its vineyards and world reknown wines plus the unique port city of Valparaiso built on the hillsides. The Southern Glaciers and Fjords is majestic and a great destination for adventurers. 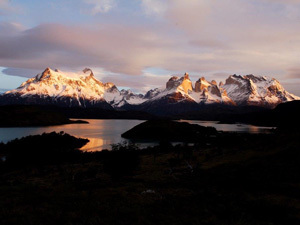 The Torres del Paine National Park (pictured here) has been named the 8th Wonder of the World. Plus 800 miles off the coast of Chile you will find the fascinating and mysterious Easter Island. Colombia's new slogan "The Only Risk is wanting to Stay" may make you laugh, but this beautiful country is not to be missed. The government is going extra lengths to keep tourism safe. Cartagena is a colonial gem with one of the few walled cities left in Latin America. Bogota is also a great place to visit with the Gold Museum as a major attraction plus jewelry shops filled with emeralds! And just outside of the city, don't miss the underground Salt Cathedral. The food is delightful and the people are warm and genuine. All of this will make you want to stay! 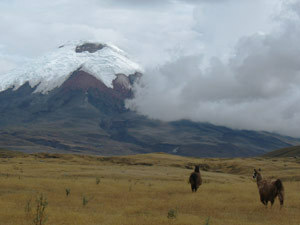 Ecuador received its name because the country is located on the Earth's equator. But the high altitude in Quito keeps the temperatures mild. Quito has a beautiful colonial old city with many new hotels and restaurants. Foodies will enjoy Ecuador's unique cuisine. The markets of Ecuador are a shopper's paradise. Ecuador is the gateway to the Galapagos Islands with flights from both Quito and Guayaquil. Leave some time for the main land which has so much to offer with scenic volcanos, lush rainforests, bio diverse cloud forests, and many cultural events. Paraguay is not a well known destination but it offers a lot of history. Especially beautiful are the Jesuit mission ruins in the north on the border with Argentina. Paraguay also borders Brazil and with Argentina makes up the "three frontiers" seen from Iguazu Falls. 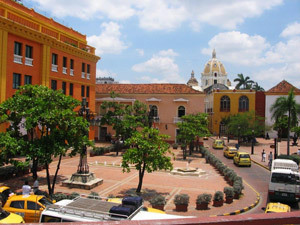 The capital city of Asuncion offers colonial architecture, shopping, and good cuisine. When thinking about Peru, most people first think of the mysterious city of Machu Picchu, but Peru offers so much more in culture, food, and artisan work. There is also a fascinating pre-Inca Culture as seen in their pottery and textiles from the northern part of Peru in the cities of Trujillo and Chiclayo. 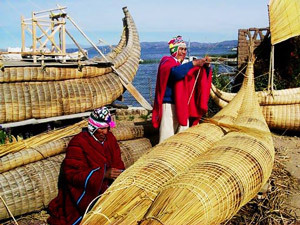 Lake Titicaca bordering Bolivia in the south is also a major attraction for its scenery and culture. Peru has an abundance of rainforest attractions in Iquitos and also Puerto Maldonado. Uruguay is known for the beaches of Punta del Este (pictured here) and also a great spot for whale watching (July to November). The capital of Montevideo offers great shopping. Colonia is a port and charming colonial city named a UNESCO World Heritage site. Ferry access from Buenos Aires makes this country an easy destination to add to any itinerary. 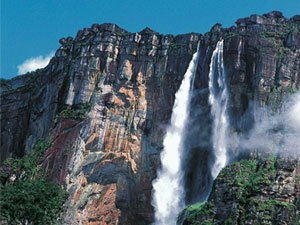 Venezuela is known for its beaches and Angel Falls (pictured here). Both areas are safe for tourism. The beaches of Margarita Island and Los Roques offer great water sports and sunbathing. Angel Falls & Canaima National Park lays deep in Venezuela's rainforest with its unique rock formations called Tupuis (flat topped mountains) in the Gran Sabana. Often referred to as the "3 Guyanas", the countries of Guyana, Suriname, and French Guiana can be combined into a very unique cultural tour. Whether you visit them separately or together, each destinatin has its own history, language, and culture. But they share amazing untouched rainforests. 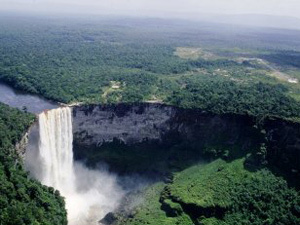 Pictured here, Kaieteur Falls in southern Guyana is breathtaking! This region is also a haven for bird watchers.